I recently went to Disneyland to celebrate my grandson’s birthday, Disneyland’s, and my own as well. 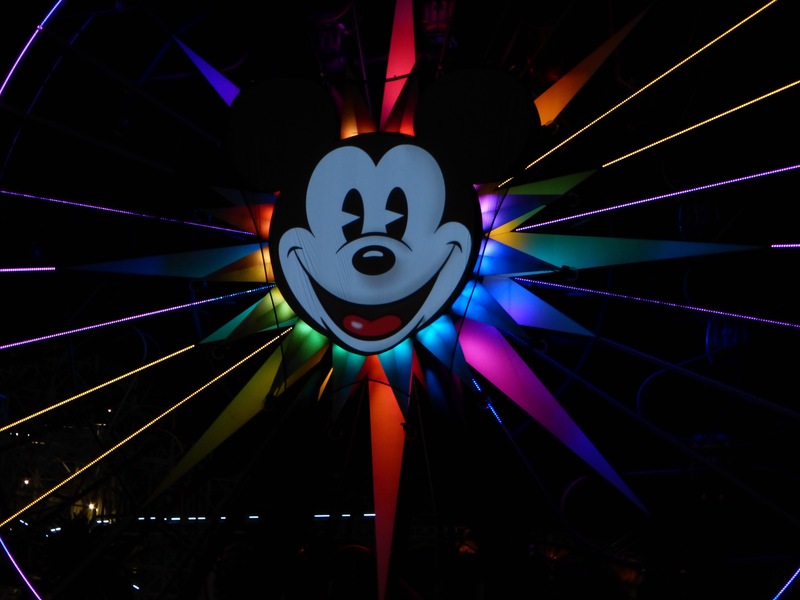 Disneyland and I share a birthday….that’s hard to imagine, I know. 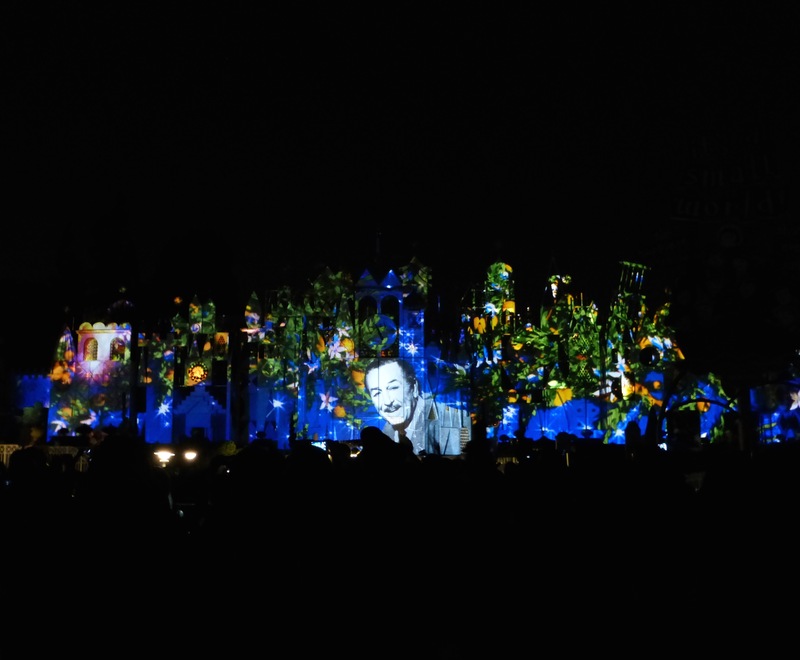 I was so touched to see Walt Disney’s face on the walls of, It’s A Small World, as it brought back childhood memories of watching, The Wonderful World of Disney. Walt would say something to the viewing public each and every week. We looked forward to hearing from him. 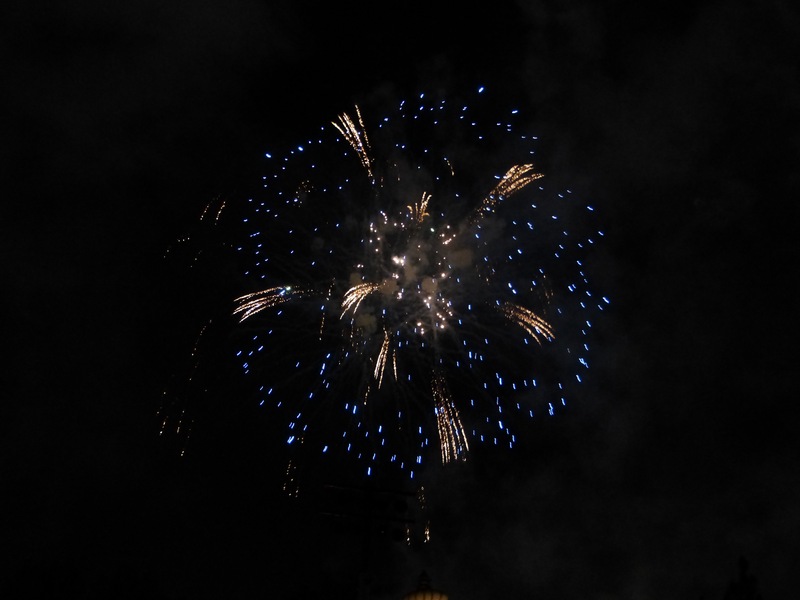 The fireworks were truly a show that shouldn’t be missed, if you’re one of those people who loves fireworks. They definitely outdid themselves with this show. 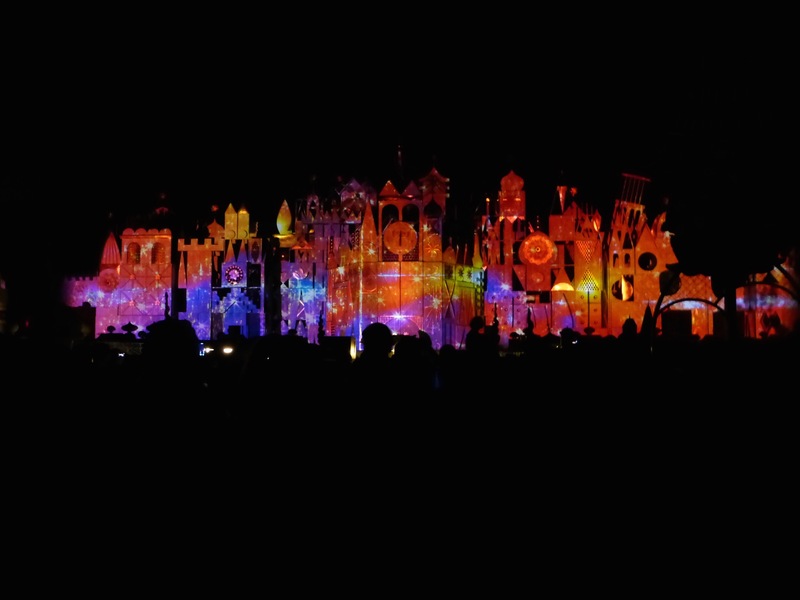 California Adventure had a parade and show that was just as engaging as Disneyland’s was. It was even rather nice to get a little wet from the show after a long hot day. But my favorite time was when the crowd went a bit silent as they eagerly awaited the festivities. 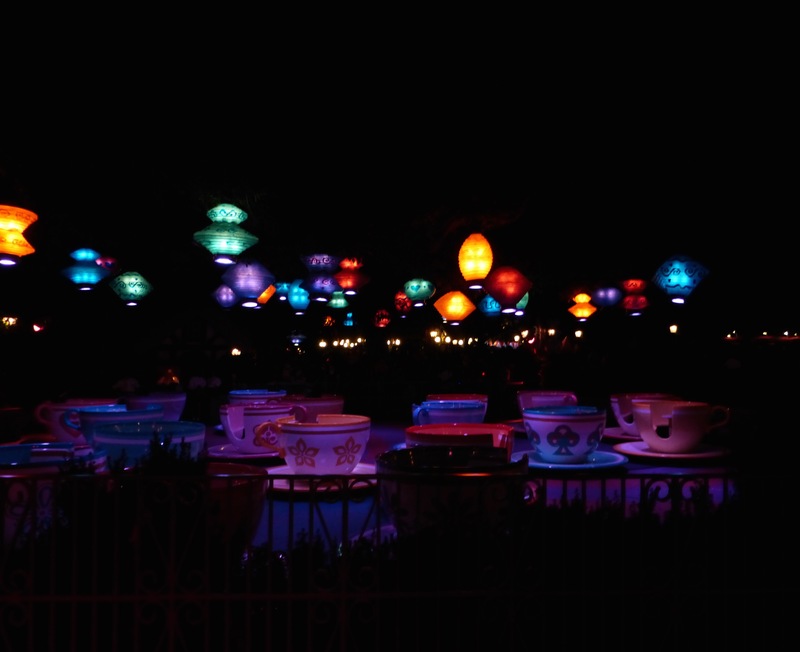 The Tea Cups looked so inviting to me, sitting quietly under the brightly colored lanterns. That was the most magical moment for me.